I’ve been gradually reducing the amount of natural sweeteners I use in my treats and these ones only have a teeny two teaspoons of maple syrup in the whole batch. They’re gorgeously sweet though from the intense vanilla powder and have so much chocolatey goodness from the rich cacao powder and sea salt. 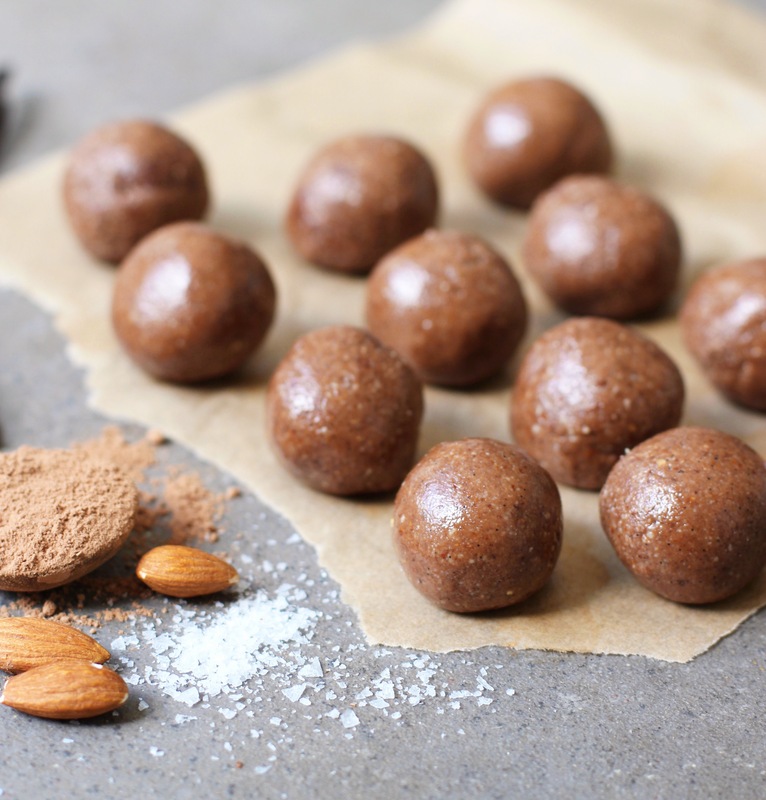 They’re full of Vitamin E and antioxidants so they’re amazing for your skin and the dream for any chocolate lover. Roast the almonds at 180’C for 8-10 minutes until golden. Add them to your food processor and blend until you have a very fine flour. Add in the vanilla powder, cacao powder and a good pinch of sea salt and blend until combined. Add in the coconut oil and maple syrup and blend on high. The key to these is to keep blending. You want to blend on high speed for about 3 minutes (depending on your machine). Keep blending until you basically have a thick nut butter. The mixture should be starting to stick together and glisten- if it’s dry and crumbly keep going. When the mixture is the right consistency, roll it into balls. Can you use a different oil instead of coconut oil? Can you use 200g of Ground Almonds instead? Can I use almondbutter instead as I have a big jar of it and not sure on how to use it. These look yummy. Can you use vanilla essence? 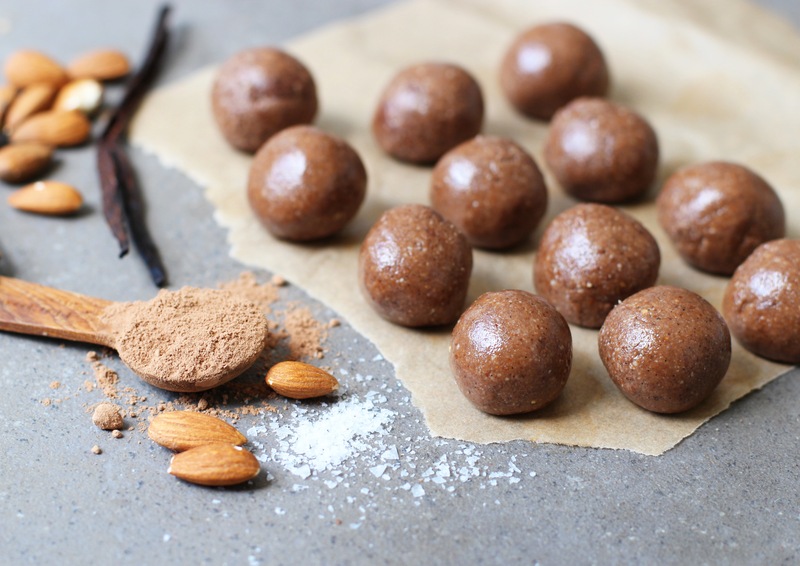 Could you use the packet of ground almonds for this recipe? Hi Indy, I’m struggling to find vanilla powder anywhere! I’ve tried health food shops and amazon…where do you purchase yours? Hi Indy. How long do they keep for? I LOVE the cashew cookie dough and I’d like to try these next. Hi, with high cholesterol, I can’t use coconut oil. Can I use an alternate oil?